The large majority of teachers, if not all, have had a child with ADHD in their classroom at some point. Most have knowledge of what ADHD is, how it impacts a child’s ability to learn and know and implement strategies to make classroom life better for these children. But, despite all the research and available information, there are still some teachers that don’t really understand ADHD. They aren’t aware of how to best manage their classroom to help those with ADHD learn. The following are some basic points about ADHD that teachers should and need to know. When a child with ADHD acts up in class, doesn’t listen or doesn’t hand in homework, it is easy to blame the home life, after all, it is the parent’s responsibility to instill discipline and to follow up with homework assignments, right? But ADHD behaviors show up in many ways – hyperactivity often shows up as constant fidgeting, getting up and walking around the classroom; impulsivity shows up as blurting out answers in class, jumping ahead in line or disrupting the class; inattention frequently shows up as not paying attention, losing items (including homework papers) and the inability to focus on a topic for a prolonged length of time. These symptoms aren’t a result of bad parenting but are part of the disorder and must be treated as such for any improvements to take place. 3. Positive Reinforcement Works Much Better Than Negative Reinforcement! Children with ADHD tend to respond to positive reinforcement to correct undesirable behaviors. When you, as a teacher, react in a negative way, these behaviors may worsen, not improve. Children with ADHD usually feel like they don’t fit in with their classmates. They feel different and out of place. They usually don’t like it and, just like all children, want to fit in and be liked. They don’t want you to call attention to their ADHD or their weaknesses; it is humiliating. Instead of singling them out or making them feel bad about their inability to sit still or find their place in the book while reading, find constructive, positive ways to help them learn. Some teachers may believe that they know how to handle your child in class because they have had children with ADHD in their class before. But every child with ADHD is unique and symptoms don’t always appear the same. For example, one child may struggle with hyperactivity, always fidgeting and having a hard time sitting at their desk for more than a few minutes. Another may not have hyperactivity but may become easily distracted, finding it difficult to follow a lesson for more than a few minutes. Strategies to deal with one child won’t necessarily help another. Each child must be treated as an individual. 6. 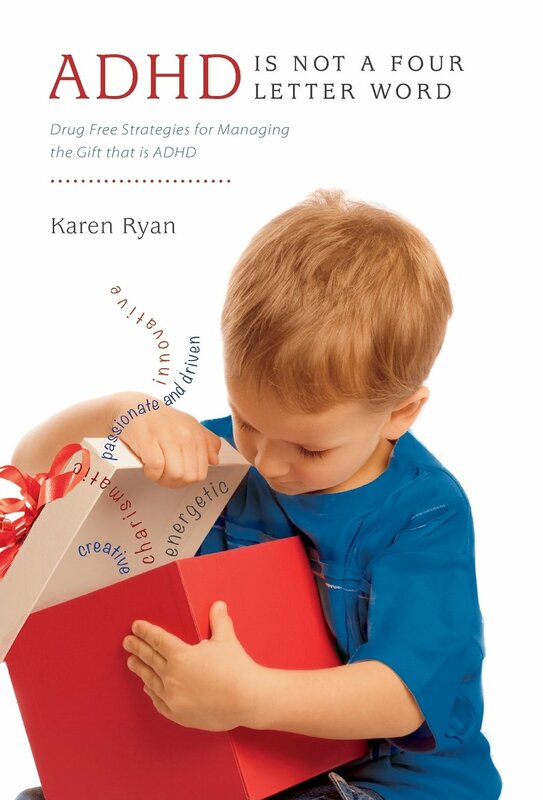 When Something Goes Wrong, It Isn’t Always the Fault of the Child with ADHD! When a ruckus erupts, it is easy to place the blame on the child with ADHD, after all, he is usually at the center of any confusion or disturbance! But, simple statistics tell you it can’t possibly always be his fault; there are other children in the class and they aren’t all perfect angels all the time. Instead of rushing to judgment, take the time to investigate situations to find out who should be reprimanded. Many children find lectures, worksheets and endless “desk” work boring, mundane or tedious. For children with ADHD, these tasks can be downright torturous. Most children, not just those with ADHD, learn better through interaction; lessons that evoke several or all of the senses tend to be remembered. Changing teaching strategies to incorporate more kinesthetic approaches to learning will help all your students. Keep your day structured and consistent, post daily rules, schedules and assignments on the board, allow for scheduled breaks regularly throughout the day. In addition, specific accommodations, such as seating at the front of the class or using secret signals to get a child back on track are helpful. 9. Medication is Not a Cure for ADHD! There are many medications that help to reduce symptoms of ADHD but the most effective treatment is a combination of medication and behavioral strategies. Just because a child is on medication doesn’t mean that you don’t need to do anything else. When these documents were created, the parents and educational professionals determined that a child needs and deserves certain accommodations within the classroom and the school to help him succeed. Even if you don’t agree with the accommodations listed, you still need to follow the document. This is a legal document and parents can take legal steps when it isn’t followed. Children with ADHD frequently don’t communicate with their parents about homework, tests or projects. This isn’t because they don’t care, it is usually because they have forgotten all about them. It is best to come up with a regular form of communication with parents. This can be a “parent blast” email each week to let everyone know about upcoming test dates, projects that are due, upcoming field trips or other important classroom information. Some parents will request daily or weekly “reports” on behavior, grades, etc. These parents would not have requested this information if they didn’t feel it would help them support their child in school. Try to accommodate any requests for parent-teacher communications. If no request was made but a child with ADHD is falling behind or not doing well in tests, reach out to the parents before the end of the marking period.